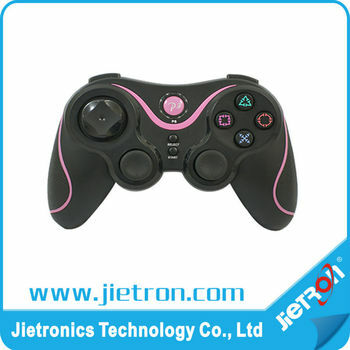 This controller utilizes wireless technology for game play and compatible with PS3 console. It also integrates the motion sensing technology, which can detect the full directional dynamic information, such as Roll, Pitch, etc. It not only can sense the angle of the controller, but also can catch the acceleration information from X, Y, Z axis, and then feed back to the PS3 console. Through this controller, the users can perform special actions for some motion sensing games.